It is difficult to grow cannabis in Holland. The summers are interchangeable and, a lot of times, it is wet due to rain. Often, growers end up with plants that struggle to reach the flowering stage as the high humidity levels stunt its growth. There is also the issue with the cold temperatures. Holland’s Hope presents a solution to this long-time growing problem. It has strong resistance against the cold and wet weather. In addition to that, it is tolerant to high levels of humidity and problems like mold or mildew. Since the introduction of the time-honored strain in the 1980s, it has allowed the country to cultivate healthy cannabis that produce high yields. Moreover, the Indica-leaning strain provides growers from the northern hemisphere with strong highly-resistant genetics. In creating the strain, Sensi Seed’s partner White Label Seed Company used the sturdy Afghani as a base for its sturdiness and resistance against the cold weather. Meanwhile, the addition of Dutch Skunk contributed to its ability to tolerate humidity-related problems. Holland’s Hope has a fruity terpene profile that energize the senses with its citric overtones. Accentuating it are sweet but sour notes of ripe lemons. In the palate, it is a little acrid but eventually softens as more smoke is inhaled. On the exhale, a refreshing pine washes over mouth and cancels out the sharpness. Holland’s Hope is a slow-starter. 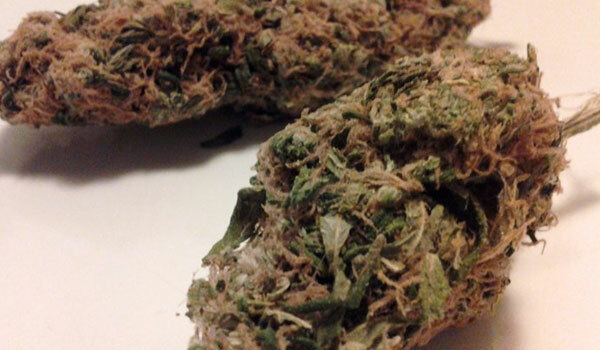 And, compared to more modern strains, it has lower THC levels that range between 14% to 15%. Its onset manifests not a head-slamming rush that can possibly overwhelm users but rather a gentle euphoric buzz that lightly stimulates the mind. Majority of users usually do not notice the start of its effects. However, once it settles, the change in behaviors is instantly visible. Frowns turn to smiles as an innate sense of happiness takes over. It clears the mind as well, resulting in a sharpened sensitivity to one’s surroundings. So long as the dosage is kept within individual tolerance, the result should be heightened focus that motivates users to work through tasks. After about an hour or two, a light pressure oozes from the temples and down to the rest of the body. It plants a heaviness in the limbs that gradually start weighing down users as it persists. The eyes struggle to keep itself open as it droops from the Indica effects of the bud. In all likelihood, users will fall asleep after smoking Holland’s Hope. Its heavy-hitting body high is usually counterproductive on a workday. Hence, users should only use Holland’s Hope during days off or at-home evenings after a stressful day. Otherwise, one may walk back home dragging the feet while struggling to stay awake. Dryness is an inevitable side effect of smoking of marijuana regardless of the mode of consumption and dosage. While seasoned users are used to the dryness, beginners may manage the discomfort by staying hydrated throughout the day. Avoiding alcohol and caffeine is also necessary. Higher doses of Holland’s Hope can lead to users greening out. Although commonly associated with Sativas, it is possible for the strain to induce a subtle feeling of paranoia or a disorienting dizziness. Most of the time, however, users only experience a mild headache that lasts for hours. Still, it is better to avoid the adverse reactions by moderating dosage. Stress and depression usually share the same symptoms – a change in appetite, trouble sleeping, along with concentrating, and issues with recall ability. Of course, the two are fundamentally different. The mental health issue delves deeper while burnout is temporary. Chronic exposure to the former, however, can lead to the early onset of the latter. As such, it is necessary for users to release any of the accumulated stress. To this end, Holland’s Hope offers the much-needed reprieve. It delivers a mood-enhancing high that temporarily stabilizes turbulent emotions. Meanwhile, its soothing euphoria calms the overwhelming dread that keeps one from living life fully. Of course, one should remember that the strain does not provide long-term relief. It is still best is one seeks a mental health professional. One of the best time to use Holland’s Hope is right before a meal. Its subtle stimulation extends to the stomach. Hence, patients suffering from a lack of appetite as a result of eating disorders like anorexia or cachexia from a long-term disease can turn to the strain. Its soothing qualities ease any turbulence in the gastrointestinal tract that prevent one from enjoying a meal. Eventually, as the effects persist, users are cradled into a state of drowsiness. Its sedating properties enhance the quantity of sleep as well as the quality so one wakes up feeling invigorated the next day. As alluded to earlier, Holland’s Hope is one of the first strains to have acclimatized to the cold and wet summers of Holland. Thus, it should come as no surprise that it has an impressive growth profile. Its natural resistance to the cold and mold help it thrive in the northern hemisphere. Of course, it still requires protection against frost which can kill it overnight or heavy rain that will break off branches. A temporary enclosing is perfect to this end, especially during early winters. Harvest is usually around the last week of September to the middle of October. Each plant can yield between 550 to 1,000 grams of buds depending on the growing conditions as well as the skill level of the grower. Indoors, the strain needs to be pruned and possibly topped early. Although it can tolerate high levels of humidity, it is still best to aerate the bud by removing branches and broad leaves. It also improves light circulation and nutrient distribution to healthier budding sites. One may also train it using either the Screen or Sea of Green method. Growers can also choose between different types of mediums like hydroponics or soil. The former will deliver nutrients directly to the roots as well as possibly double yields. However, it is a difficult and expensive setup. Therefore, beginners may turn to the latter. 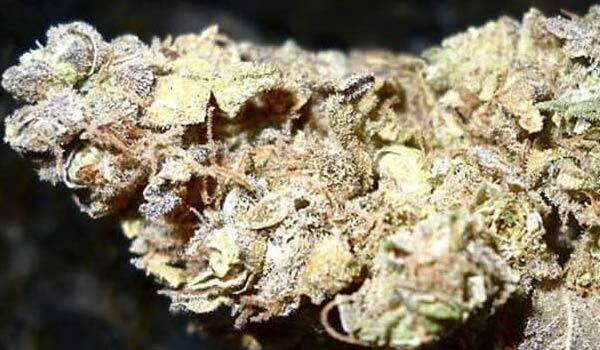 Apart from being cheap and easier, it produces flavorful buds. Regardless, the plant fully matures between 7 to 9 weeks. High yields can be expected as well. It produces around 500 to 550 grams of buds per square meter. With training, it can yield even higher. Have you grown or used the Holland’s Hope strain? If not, would you like to get your hands on this strain? Please leave a comment to let us know what you think. We want to hear from you.